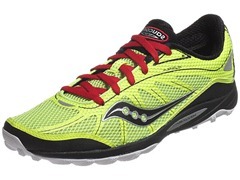 If you’ve read any of my past reviews you know that I have a certain ideal shoe that I’m searching for. My perfect trail shoe would be one with a minimal upper that fits like a glove over the forefoot, a wide toe box, excellent drainage, great grip, soft ride, 0-4mm heel/forefoot differential, and enough cushioning to run 100 miles. Two years ago that shoe seemed impossible to find. Luckily, it seems like I’m not the only person who is after this style of shoe as more and more shoe companies seem to be coming out with what I call “middle-imal” trail shoe options. One such company is Montrail, and the introduction of the new Fluid Flex seems to meet every single one of my desires (well, in a shoe at least). I’ve been super excited to try it ever since I first caught wind of it. Montrail describes the Fluid Flex on their website as follows: “A 4mm offset, articulated midsole and toothy microlug outsole, the FluidFlex™ guarantees a close-to-ground feel that both flexes with the natural movement of your foot, and protects it at the same time.” They list it as weighing 7.6 oz and having an 11mm forefoot height and 15mm heel height. They also state that it has a “secure fit and close fitting upper.” I will specifically address this shortly. The kind folks in Montrail’s PR department had tried to get me an early production pair in November, but the limited run ended up being spoken for and to my disappointment I ended up waiting what seemed to be forever to finally get a pair. As I was pestering them relentlessly, Pete surprised me with a pair 3 or 4 weeks ago (purchased from Running Warehouse). They were a size 11 and I wear a 10.5 in most shoes. When I tried them on they seemed ok, so I ended up putting 57 miles on them before Montrail sent me a pair in my normal size. (Disclosure: the latter pair were provided as a media sample – no charge). I’m glad I got the 10.5’s. Although the 11’s felt good just putting them on, when I actually tested them there was a lot of slop in the fit, and I kept jamming my toes against the front on long descents. The 10.5s fit much better. With all that said, lets talk about the shoe! The upper is very minimal, with almost no structure at all. The only exception is an interesting padded section on the left and right side of the heel cup. These “bump outs” sit right below my ankle bones and do not produce any discomfort. With such a minimal heel I would guess they are there to keep your heel locked into the shoe and thereby prevent slippage, which is exactly what they do. I’m pretty sensitive to these type of things and once on the move I can’t even feel them. And my heels don’t slip, so I would call it a successful design. The size 11’s weigh in at 8.25oz and for some reason my size 10.5’s come in at 8.3oz. But…I just weighed them and they have some dirt and grit on them. Either way, that’s pretty light for a “middle-imal” shoe. The toe box is hard for me to describe. Although it feels roomy, the angle at which it tapers puts a little bit of pressure on my pinky toe. It has not caused any blisters (I have since put over 50 miles on the size 10.5’s), but the longest I have run in them is only 5 hours. I don’t know if they would cause me problems over the course of 100 miles. The Fluid Flex foam is incredible – I love the way these shoes feel underfoot. They have a flexible, soft ride that doesn’t beat up my feet like true minimal shoes do. The entire sole is made of the Fluidflex material with high-wear areas covered by small, square, and grippy rubber blocks. Even though they don’t have a rockplate, I have found them to be more than adequate over sharp rocks and roots. And when you have to run on the pavement they are a pleasure to be in. After 50 miles they show almost no wear. The traction has been very good, and I have tested them in everything from mud to rocks to ice and water. Speaking of water, these shoes drain incredibly well. I have completely submerged them many times and within minutes they feel like they are dry. There is no pooling of water within the shoe at all. Considering that you can actually see through the the upper material, it’s no surprise. There are a few things that make me hesitant to wear the Montrail FluidFlex for a 100 mile race, although I haven’t ruled it out yet. First, the minimal upper doesn’t wrap my foot tight enough. The asymmetrical lacing system is very comfortable, but I just can’t get it tight enough to prevent my toes from hitting against the front of the shoe on long descents. I do have a low volume forefoot and have had this problem in many shoes. I don’t think this will be an issue for most people. The other issue, which is very easily fixed, is the laces. They are terrible. They’re way too long and do not stay tied. At all. Especially when wet. I have reverted to tucking them into the front and then tying them again to keep them from coming undone. No biggie. Just replace them. So, did Montrail come up with my dream trail shoe? Close, damn close! If I could just get a tad wider toebox (or maybe just a slightly different shape, more like the Altras) and get the upper to fit tighter around my forefoot it would be perfect. They feel like running on a cloud. Those of you looking for a more minimal Hoka with a much better upper will be very excited – they have that same running on a cloud feeling without all the bulk and excess squish. 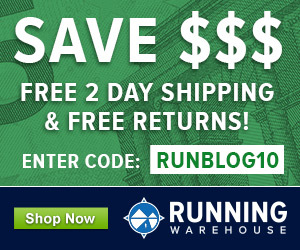 The Montrail Fluid Flex is available for purchase at Running Warehouse, Zappos , and Amazon.com. 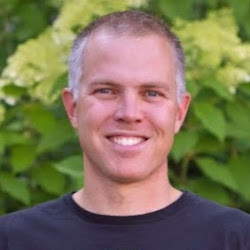 Nate Sanel is an ultrarunner and author of the Dirty Runner column on Runblogger. You can find more of Nate’s writing on his personal blog, Biker Nate, or follow him on Twitter. Interesting shoe. It’s the first thing from Montrail to get my attention. I see that you listed it as 15/11 and RunningWarehouse lists it as 21/16. Why the discrepancy? Just a guess, but Montrail’s numbers may omit the outsole and lugs. Thanks for the review. I have these as well. I love the fit feel and ride. I do admit though I wish the toe box was a little wider or more foot shaped. Hopefully they will do this on the next model. If they do this Montrail definitely will have a shoe that will beat out any other trail running shoe. It is also great on pavement. Montrail griptonite rubber is purely awesome on all surfaces. The more you run in them the better they feel. Also the measurements Montrail claims as 15mm in heel and 11mm in forefoot is definitely not correct. They are more in the ballpark of what runners warehouse claims. If they were as low as Montrail claims they would be in the ballpark of New Balance MT-10 which they are not in thickness. Anyways great shoe so far! I try not to get tooo much into the technical details like stack height, because of this reason. It can be interpreted differently. From a pure “feel” standpoint, I would be much more inclined to believe what RW posts it at. It feels way to comfy to be only 11 under the forefoot. I am thinking of getting these for my husband. What do you think the life expectancy of these should be? I think that they should easily last 500 miles. I have about 200 on them so far and they show almost no wear. Pretty amazing actually. 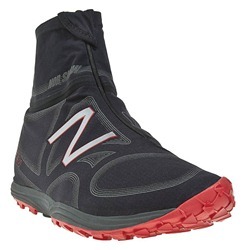 Nate….I also have been running in these and so far, I love them. The past couple of years I have been wearing Montrails (Rockridge, Masochist and Bajadas) without much success, mostly due to clunkiness or in the Bajadas, the forefoot area being too tight. These shoes are the first Montrails that I don’t feel like i have anything on my feet., which is great. No rubbing on my toes and the cushiness has gotten better with time, at first I thought they were just too soft for trail running, but they have set after about 50 miles and now feel great. These might actually be my go to shoe for Hardrock this year (a different pair each half). Good to hear that you like them too. I think anybody wondering if they are rugged enough for tough 100’s should take comfort knowing that you’ll possibly be using them for one of the hardest!! I’m looking at the upper, and the lack of any real rand has me worried that with a bit of heavy trail use, or high mountain running they may wear through quickly. Apart from that they do look like a good option for ultras. Is Dakota Jones wearing these? I am not sure if Dakota is wearing these or not. As far as the durability of the upper goes, I wouldn’t worry a bit about it. I have been using them on extremely rough rocky terrain and they don’t show any sign of fraying or tearing. The lowers show way less wear than I expected. I see no reason why these wouldn’t last at least 500 miles. Your dream trail shoe sounds a lot like mine…and I think after reading this review I’ll seek out a pair to try! Sounds like they’d be about perfect with a slightly wider toe box and Merrell’s OmniFit lacing system (which I love, by the way). Just bought these (size 11, same as my kinvaras) – fit is dead-on, and, wow, am really enjoying them on the techy trails…my pair of hoka’s have ‘too much’ underfoot for my taste, these Montrails have some of the soft forgiveness without the bloated sensation, with great grip (pounding steeper downhills with the lighter upper can result in a bit of compression in the toes, but not bad) – overall, a big winner for me…. I got a pair of these in March, and I’ve really been loving them. I’ve enjoyed previous lightweight Montrail shoes (Rogue Runner, Rogue Racer) but the forefoot protection in these felt too thin to run comfortably on rough trails. I also didn’t like the traditional heel-to-toe drop in these shoes. The FluidFlex addresses both of these criticisms. The forefoot is thicker and squishier (which I like: YMMV), and the heel-to-toe drop is slight. I loved the feel of them immediately, and having run in them only once, I felt happy to race a 50k in them. I’ve now run in the FluidFlex something like 50 times, including three ultra races. My only criticism of the FluidFlex is that they seem to stretch a lot. I don’t know if this stretch is from the upper or the sole. But it is very noticeable. So I would definitely follow Nate’s advice and downsize. Buy them snug! I actually saw a few people running the Vermont City Marathon in the Fluidflex, seems like a pretty versatile shoe! Absolutely. The FluidFlex runs really well on pavement. Something I really appreciated in the American River 50, which is nearly half on road. This was the perfect shoe for that race. Just to follow up on this. After ~6 months running in these shoes, I don’t think the “stretch” is anything to do with the upper. On further examination, I found that the footbeds had got really packed down and lost their thickness completely at pressure points. When I replaced them with footbeds pulled from similar shoes, the fit was back to normal. Also, on the subject of the upper: someone here expressed concern about durability. The fabric is really tough. I wore these (ill-advisedly) in the Squaw Peak 50 race in Utah. All was fine until the final descent which is loose and full of rubble and sharp rocks. This was totally the wrong footwear. I wanted a shoe with way more protection on the sole and on the uppers. It was a painful descent. Time and again, I felt the sharp jab of rocks rolling into the shoe upper. I was convinced that when I finished the race the shoes would be destroyed. However, the only damage was one fraying seam. What would be your ideal shoe for Squaw Peak? I just ran a 50k in the Montrail Bajada, and was thinking about getting something with a little support over the 50 mile distance. I’m signed up for Squaw peak this year.